Is there anyone who may be able to shed any light on this lock which I picked up recently on a flea market. I assume it is from a fairly high quality safe from the S Withers factory. Hi interquartz that's a nice lock you have there- I've seen quite a few similar but unsure what safes they were on. It's raised my interest though as 99% of the Samuel Withers safes I ever encountered were bottom end models- 3/8" outer door plate with a pretty basic 7 or 8 lever lock. But, I remember I've got notes on an unusual one I encountered- it was small but tall for it's width- i.e a slim upright shape unusual for any of those 'oldies'. It had an inch thick, or might even have been inch and a half thick outer door plate, and I remember the lock was chunky and compact like yours. I'll dig my big file out when I can and see what I had written down on it. I might be wrong going from memory, but I remember it was definitely a break from the norm for what ever maker it was, and S Withers definitely rings the bell. That's interesting as like you have only come across bottom end Samuel Withers safes. This is a lovely lock and completely different to the usual Withers ones. I would be interested to see if you uncover anything. Finally dug it out but unfortunately nothing more to add, other than it was a 1942 Samuel Withers. The unusual size suggests it may have been from a small batch of specials for military use, but the numbers and date stamps on it were large and clear, with none of the usual War Department markings visible. Not impossible but unlikely, as it would have been clearly marked if that was the case, and James Gibbons were making the majority of the lower grade WD safes around that period. 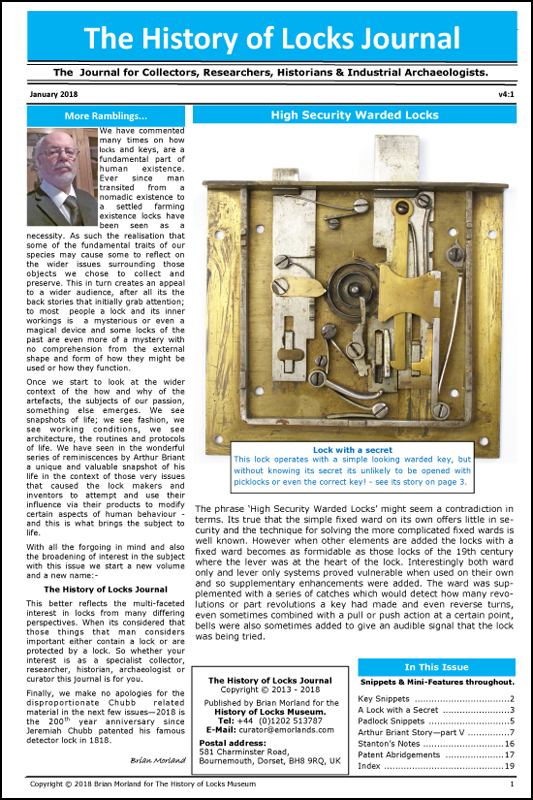 This model of 12 lever lock has been on quite recently under the heading of Whitfield who made and Patented their own locks.